SUNROOM – RATE: $200 half day / $400 full day. 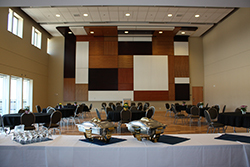 Situated on the second floor of the University Center, the multipurpose ballroom is the perfect space for any banquet, conference, reception or small tradeshow. The beautiful hardwood floor, wooden wall paneling, 20ft high ceiling and large windows provide a light and spacious background for any gathering. This space is available year-round! 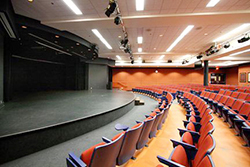 MEZZANINES & FOYERS – RATE: starting at $100 half day / $200 full day. 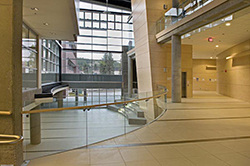 The mezzanines, foyers and atriums in the various buildings on campus provide the perfect space for receptions, tradeshow booths, poster board displays or as a registration area. All spaces have an open look & feel with lots of day light and plenty of space to move around. Only available during the summer months! 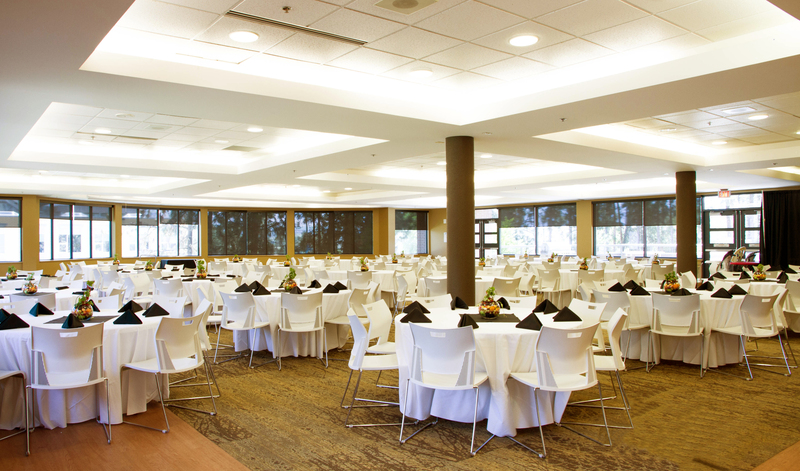 For more information and pricing on Event & Catering Spaces, please contact us at conferences.ubco@ubc.ca or phone 250.807.8050.